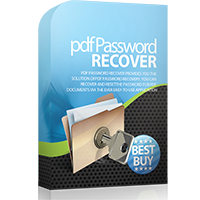 The best PDF password recovery tool! 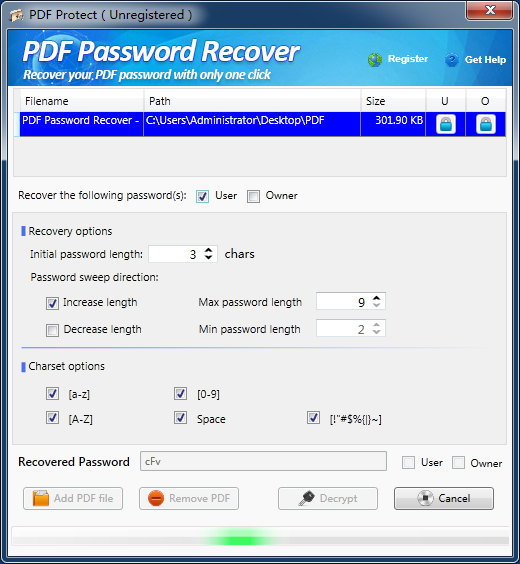 PDF Password Recover ήταν διαθέσιμο ως προσφορά στις 9 Μαΐου 2017! 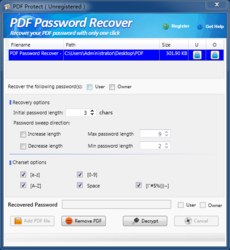 We all had such situations when we had to deal with the password-protected PDF files which are of the great importance. Sometime we may forget the password of the PDF files. At this time, we need an efficient and neat software solution designed to remove or recover the password restrictions from protected PDF files. 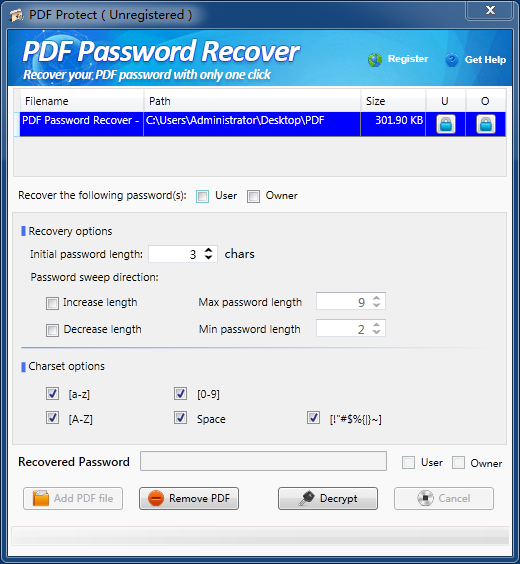 PDF Password Recover is the one that can instantly recover the password locking the documents. This is just a glorified brute force password cracker. The limitations are your machine. The more complex the password, the longer it will take, including YEARS. If your password is one character, then there are 26 possible combinations. If your password is two characters, then there are 26x26 combinations - 676. This goes up exponentially, so for a ten character password, thats 26x26x26x26x26x26x26x26x26x26... 141,167,095,653,376 combinations. Yes, its going to take a while to test all those. Thats assuming you use just upper or lower case. If you used both, then its 52x52x52x52.... etc. With 15 'additional' symbols (£$%&, etc) thats 67x67x67x67x67.... etc. 1.822e+18 - so 1 with 18 zeroes. Thats gonna take a while. Of course this is just for when you forget your own password. 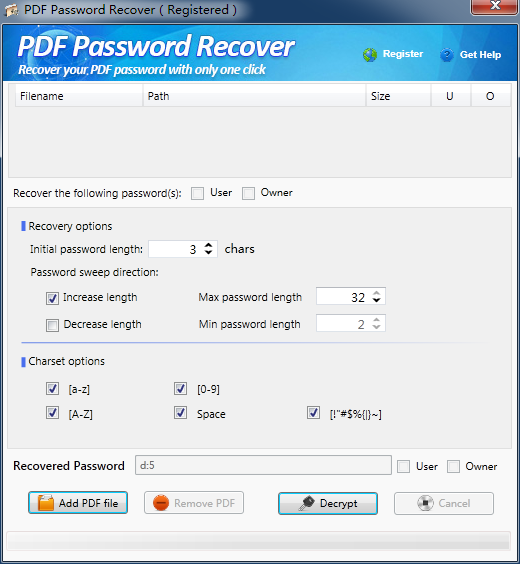 I have used another of those programs, Wow Tron PDF Restriction Remover (obtained here) for a legitimate application. I own software books with CD-ROMs. Big fat books, complete with screenshots, tables and notes. The pdf of the book is on the CD, and I read alternatively the paper books and the ebook. However, some of those pdfs are write-protected. This means I cannot annotate the ebook with my own comments and links. Imagine buying a paper book and not being allowed to write in the margins ! This is unacceptable for a technical book. It dramatically reduces its learning ability. Wow Tron PDF Restriction Remover allowed me full legitimate use of those books I have bought. And it does not try to brute-force the passwords : it just removes them. Instantly. 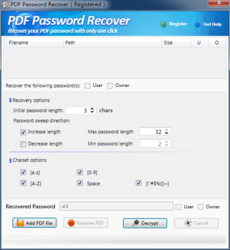 rww, I have used another of those programs, Wow Tron PDF Restriction Remover (obtained here) for a legitimate application. I own software books with CD-ROMs. Big fat books, complete with screenshots, tables and notes. The pdf of the book is on the CD, and I read alternatively the paper books and the ebook. However, some of those pdfs are write-protected. This means I cannot annotate the ebook with my own comments and links. Imagine buying a paper book and not being allowed to write in the margins ! This is unacceptable for a technical book. It dramatically reduces its learning ability. Wow Tron PDF Restriction Remover allowed me full legitimate use of those books I have bought. And it does not try to brute-force the passwords : it just removes them. Instantly. Does it work with accented letters like æ or β?